Are you looking to get fit with the convenience of being at home? If so, a portable treadmill is one of the best pieces of cardio equipment available. They can be incredibly diverse and reliable for effective workouts every time. However, choosing between the huge range of portable treadmills is a tough task. My top recommendation is the Reebok Jet 100. It comes with lots of fantastic workout features with easy-to-overlook downsides. I also appreciated how it’s priced competitively. On the other hand, a more budget friendly option is the Confidence Trac Treadmill. I liked how it’s very affordable, while also providing you with features that enhance workouts. 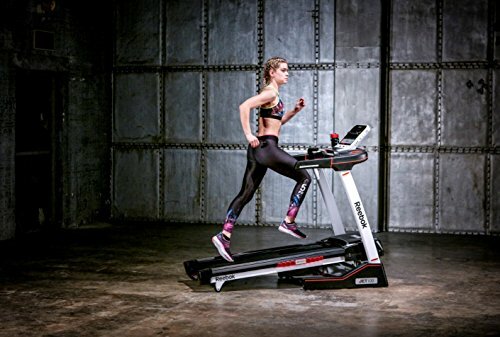 For those interested in what a high-end treadmill has to offer, you may be interested to read about the 3G Cardio Pro Runner. You’re paying top dollar and for many, the bigger budget pays off. The moderately priced treadmills are where most people tend to be the most interested in. If you have a budget of $1,000- $1,500, you could pick up a pretty awesome treadmill. The Reebok Jet 100 our top pick here. See what makes it our number one choice for portable treadmills in the mid-range. The cushioning system that Reebok has created for this treadmill is excellent. It incorporates one-of-a-kind air motion technology. An incredibly comfortable exercising experience. This is especially beneficial for people with bad joints. The cushioned deck works to absorb a lot of the shock that people typically experience while running on hard ground. 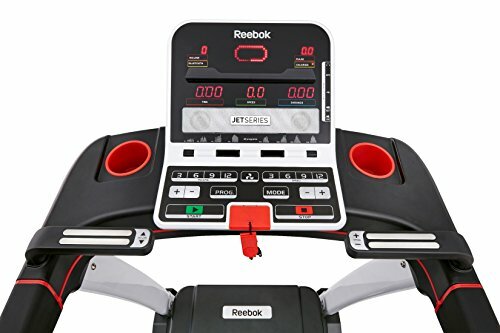 You get to utilize a variety of built-in speakers while using this Reebok treadmill. Plugging in an mp3 player to listen to your own music is a feature I really like. The quality of the speakers enhance the sound quality. Sometimes, you want a break from having to wear earphones/headphones – and this treadmill provides that for you. The transportation features that come with the Reebok Jet 100 are amazing. You can easily fold it up to ensure it saves you space and can be stored away. Furthermore, you are able to move it around to different rooms with minimal effort too. This is a result of the wheels that are attached to the bottom of the treadmill. While there are some great features available to use on the console, there are also some aspects that I’m not so enthusiastic about. The good points are that it gives you all the information you need concerning your workouts. This includes your heart rate, calories, speed, distance, and time. All of the controls are very easy to use and are responsive. Moreover, you’re given a place to put your phone without worrying about it falling off. The LED features. To me, the LED lights look out of place and unattractive. Having said that, there may be people who like it. If that’s one of the major downsides to a treadmill, then they’re doing something right. Those of you looking for a very affordable treadmill may run into some issues. 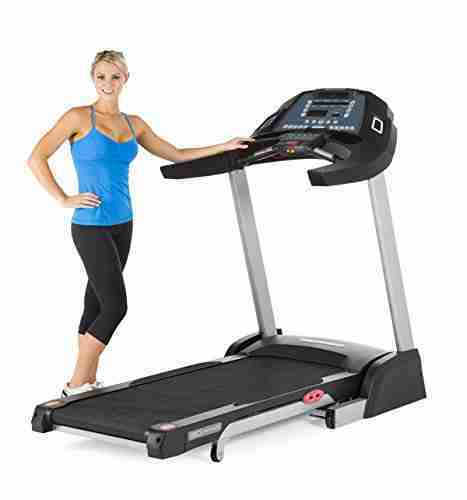 Many portable treadmills under $500 are often lacking in numerous areas. Whether it be no incline settings, or a lower top speed – it can be tricky picking the right one for you. 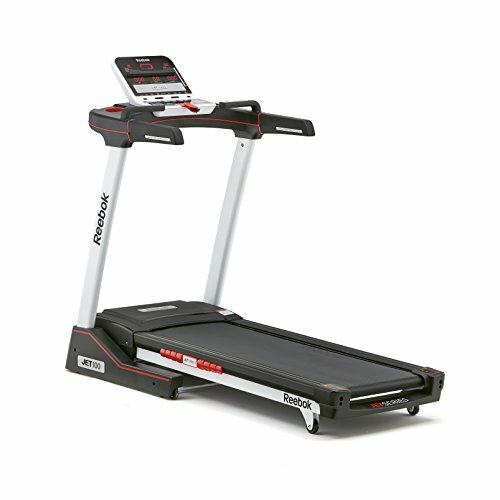 The Confidence Trac Treadmill is awesome for beginners and people looking to save money. You get to choose between 12 fitness programs that enable you to start working out with ease. Simply select the most appropriate program for your goals and the treadmill will configure all the settings so that you don’t need to do anything manually. The program starts with number one, which is the easiest option. They get progressively more challenging the higher the number goes. Alternatively, you can also set the treadmill to your own needs manually too. The incline is always a must-have feature for me when it comes to treadmills. 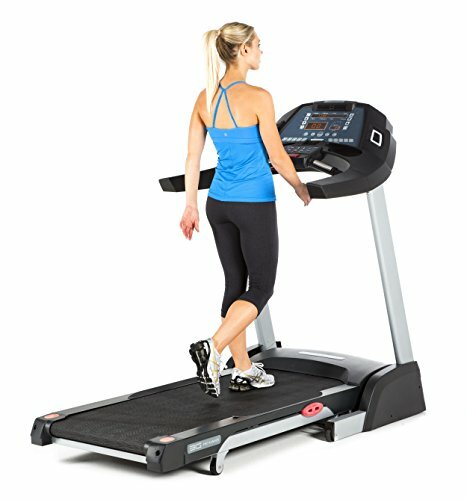 The Confidence Trac Treadmill comes with a total of three different incline settings. These incline settings vary from 2-5 degrees. Therefore, you’re able to challenge yourself by exercising up different degrees of incline. You can effortlessly fold this Confidence treadmill when it’s not being used. You’ll find that it can fold down to a nice compact size. As a result, you can save a lot of room and store it away easily. One of the most notable downsides concerning the Confidence Trac Treadmill is the speed. Unfortunately, the max speeds of 10km/h simply aren’t enough for runners. So, if you wanted a treadmill that lets you practice sprints and more fast-paced running, this treadmill isn’t the one for you. In addition to this, the motor is 600W, meaning it doesn’t provide you with as much power as you may be expecting. The speeds and motor built-in provide you with a good treadmill if you’re using it for walking and jogging. But serious runners would want to avoid this one. I did notice one issues with the incline. Every time you want to change the incline, you must come off the machine and let it adjust before stepping back on it. But when you consider how affordable it is, this won’t be a major flaw for many people. Just because a treadmill is more expensive, it doesn’t necessarily mean that it’s higher in quality. However, we’ve researched the best high-end treadmills where the price really does reflect the quality. 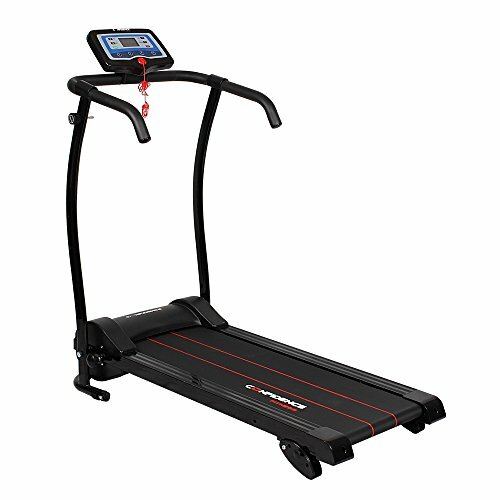 Regardless of whether you’re able to stretch your budget to these prices, you may still be interested to see what the 3G Cardio Pro Runner has to offer. The console comes with a wide range of uses. For one, there are eight pre-set programs to choose from. But you’re also able to create two of your own workout programs by utilizing the custom mode. Furthermore, there’s even a cool down program for after you’ve completed the intense part of your workout. There are some exceptional fitness test built-in too. These include the Cooper, BMI, and Gerkin tests. So, you can easily test your base level of fitness to give yourself a good idea on where to improve on. In addition, you get an interactive heart rate monitor and a chest belt for more accurate details on your performance. Once you’re done with working out, you won’t have to leave this treadmill to take up your living space. Instead, you can simply fold it up into a much more compact size. It folds vertically, so it’s ideal for storing away in cupboards or in corners of rooms. The folding design is always an important aspect for me when considering home treadmills. It makes the entire experience a lot more convenient. 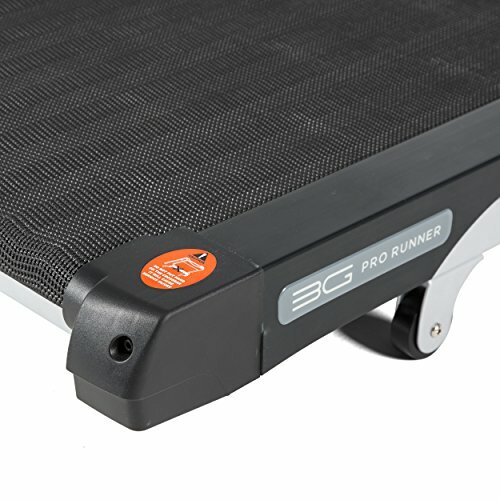 The design of the belt used with the 3G Cardio Pro Runner is remarkable. It’s an orthopaedic belt. Therefore, you can run for long durations of time in complete comfort. It works to minimise the impact on your joints, which increases your longevity in terms of how long you can exercise for. The space provided to exercise on the belt is also large. So, you can run in complete comfort and not feel restricted. So, the 3G Cardio Pro Runner is equipped with some fantastic workout features. However, there is one major downside. You cannot connect your mp3 player and listen to your own music. I quickly realized that this treadmill has neglected how important music features with treadmills are. This became clearly apparent when I noticed how it was lacking a place to securely place phones or tablets. But for most people, being able to easily listen to music while working out is incredibly important. For those people (myself included) this treadmill falls short. I was also disappointed by how the data compiled from your workouts cannot be downloaded. There may be some people who aren’t too bothered about the absence of connectivity features. But considering the hefty price tag, you’d expect there to be a way of downloading your statistics. Prior to committing to a purchase, be sure to properly consider how you’ll be using the treadmill. The ones mentioned here are all portable and can be folded. So, if you needed to put them somewhere else after they’ve been used, any one of the above three would be great options. However, once you start to establish your budget and specific requirements, you can narrow down your choices a lot better. 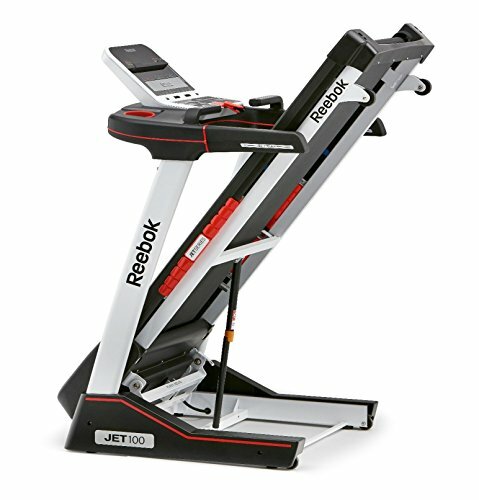 For example, if you need a treadmill that’s easy on the knees and has great music features, the Reebok Jet 100 is the best option. 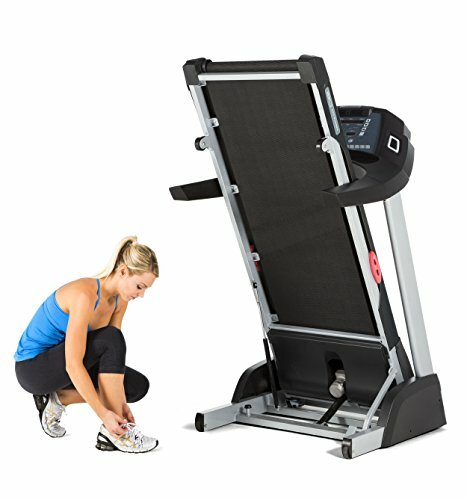 Those after a basic treadmill that lets them walk/jog up inclines while being under $500 would prefer the Confidence Trac. 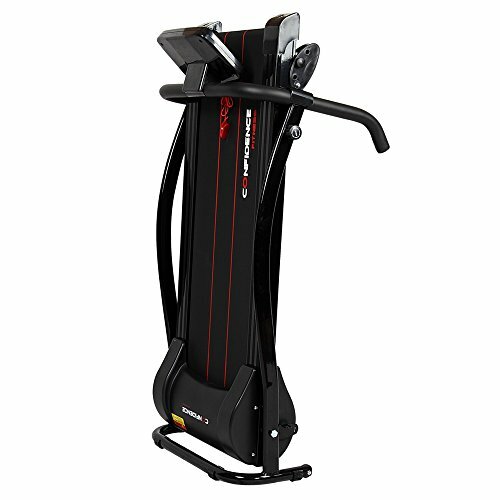 Lastly, people wanting advanced workout features, fitness tests, and data will find the 3G Cardio Pro Runner to be the outstanding choice. Going in with a good idea of your main uses will help to fast track the entire process so that you can start working out sooner than later. Many people love the convenience aspect of being able to workout from home. That’s why folding treadmills have become such a huge success everywhere. They are one of the best pieces of cardio equipment that provide you with everything you need for a good workout. 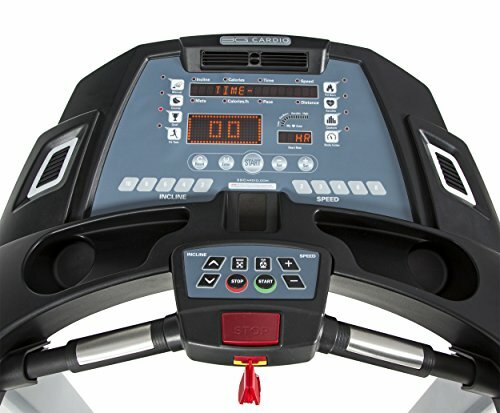 Even the more affordable ones, like the Confidence Trac, come with enough speed and incline settings for getting a sweat by walking/jogging on an incline. The 3G Cardio Pro Runner is equipped with some advanced tech. It lets you keep precise track of your progress and the areas where you need to improve to boost your fitness. But you have to pay considerably more to experience these benefits. The Reebok Jet 100 is our number one choice. It has the perfect blend of high-end features, while taking notes from the more affordable ranges to remain budget-friendly. Precor Spin Bike Reviews – Which One is Best for You?